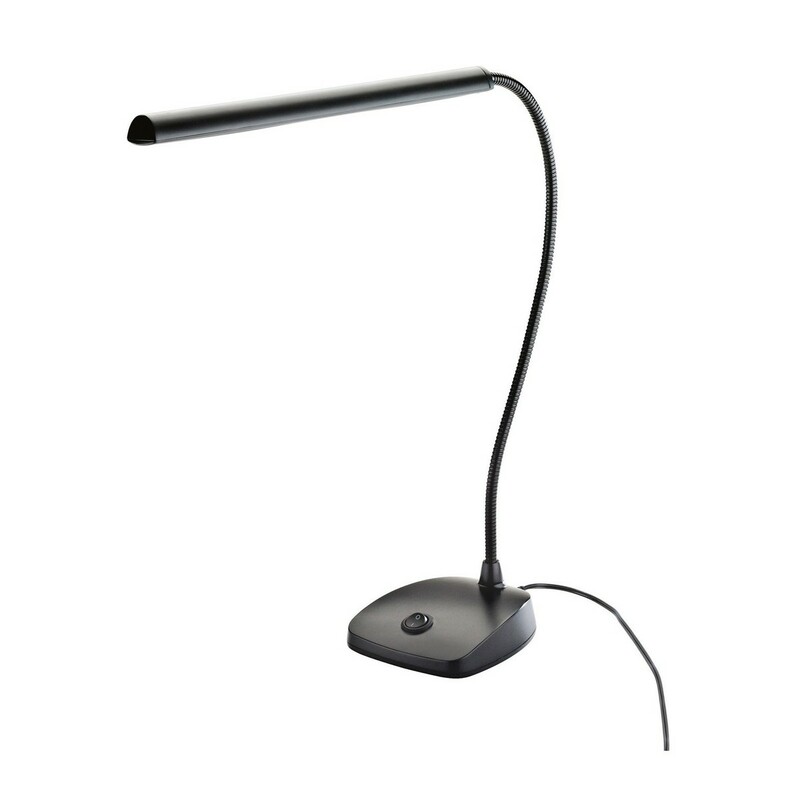 The K&M 12296 piano lamp is ideal for performing pianists. 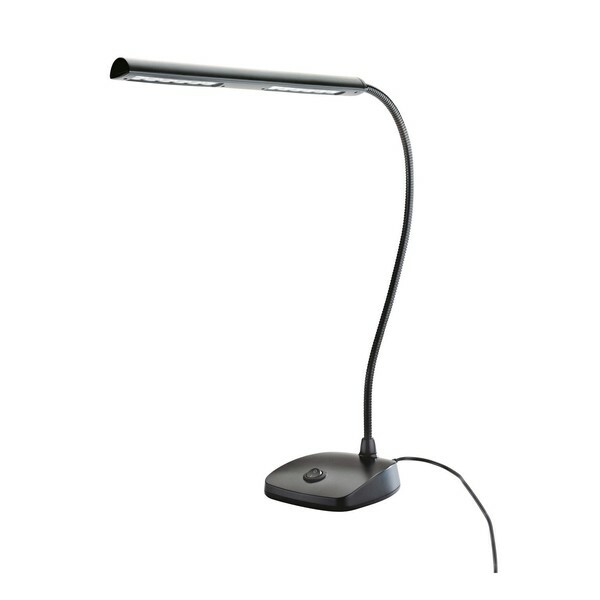 The lamp features 12 LED lights with a bright projection. The gooseneck design is flexible for shaping to the musicians exact preference. The wide length span is ideal for musicians using double page spread books and folders.